Manxgirl living and crafting down under. : Having Fun. Well I've been a busy girl!! My Caramel coloured quilt is almost a complete top. I just need to add a border, then quilt and bind. I loaded this quilt into my frame the other day. It's one I finished many years ago. I was pretty naive back them and made many mistakes. It was also a QAYG piece. 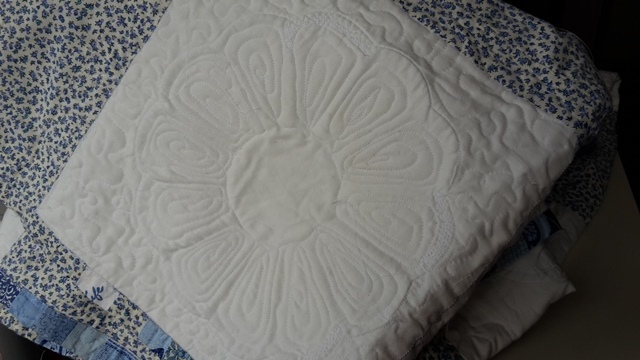 Over the years the Dresden plates have started to come off, at times I have re attached some of them using various fancy stitches on my machine. Some of the hand sewn seams in the back had also opened up. I have restitched them by hand. 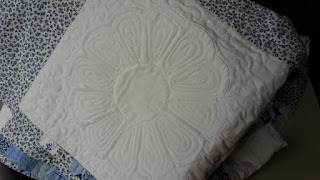 The quilting was always very simple and basic. Echoing the shape of the plates and in the plain squares a very simple heart. Well, I had fun playing on my frame. Some of the plates now have the flowery pattern you see below, not perfect, but better than it was and less likely to fall off!! Some of the hearts now have a tight little meander and all of the back ground has a wider meander. It's not finished yet, but I decided to take it off the frame and bury some threads before I go any further with it and it frees up the frame for my latest creation. I learned a lot in the short time I had it on the frame and thoroughly enjoyed myself too. One of the things I learned is just how many bobbins a larger quilt will require. 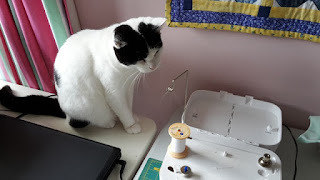 Belle kept a close eye on the bobbin winder for me. I need a quick trip into town to buy more bobbins!! It pays to have several all wound up and ready to go! Then later today I get to play some more. You have been busy! 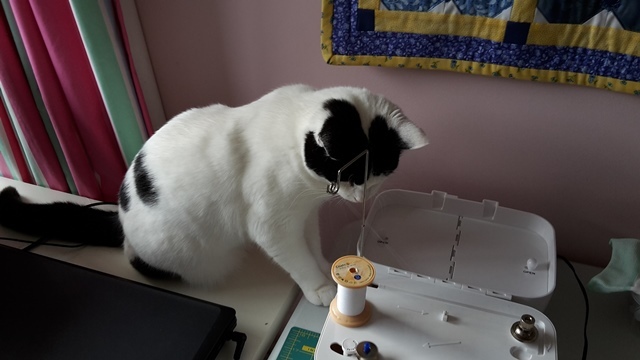 and have a cute little helper! 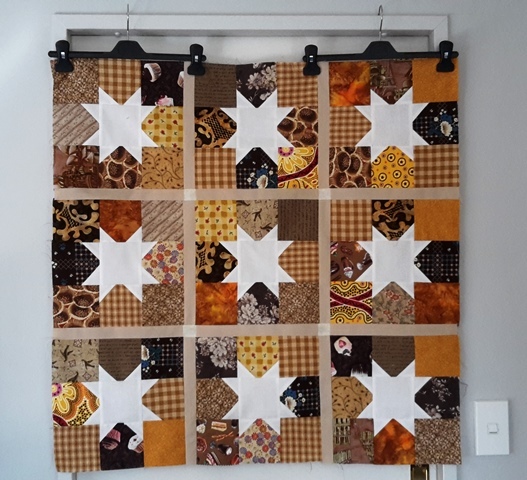 Lovely finish with your " My Caramel" and you did a fabulous job quilting the dreads plate quilt. Tilt your head to the right side please! 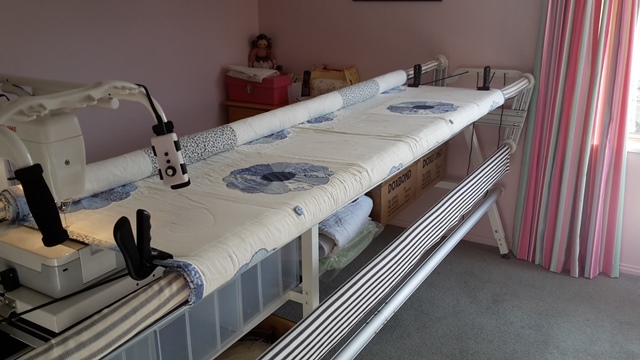 New Zealands No 1 Quilt and Craft Fair. Self portrait and a finish! !